Novelist Ches Smith talks about being depressed and vulnerable while being male, the inherent difficulties of writing characters who act suspiciously like a lot of the people you work with — but WHO ARE NOT THEM — and how writing metafiction offers a way to take the undesireable parts of yourself to their logical and worst conclusions, so you can (and should) avoid doing that exact same thing on social media. Also, we fantasize about what it would be like if Kate could ever remember the titles of books/movies/podcasts she wants to recommend to people. 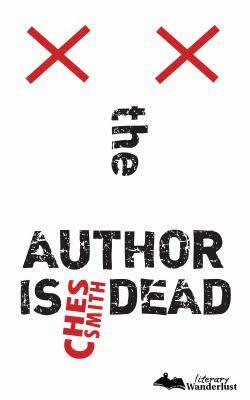 Order The Author Is Dead via Indiebound & follow Ches on twitter @writes4attn and on Instagram @ches.smith.